As of today there is a huge number of startups, both in the US and abroad, trying to create new applications to inject functionality to cyberspace. It’s very easy to notice that these days we don’t have a problem of finding software to get our job done, but rather a problem of finding software to get the job done the right way and in the right timeframe. I feel that the software industry in the 2010’s is quite similar to the automobile industry of 1910’s. Obviously we got “cars”, but not the right ones. Cars today serve a variety of roles. Some are sport cars, some are trucks and some are busses. But our software is not equally evolved. It’s quite monolithic (and disapointing) that the majority of computers in the workplace today are evolved typewriters. Yes we got the internet of course, which means that fortunately we got “roads” to let our information move. But the vessels that use these roads (computers) were not built for the highway. The basic elements which allow someone to use a computer, are the keyboard and the mouse. This means that so far, we have digitised the pen and pensil. Watching at the huge amount of research taking place in the B2C software marketplace, I can’t but stop and think. Is this the best we can do, in the business software world ? Are we left behind ? Have we injected our organizations with a culture of innovation and adaptation of the new, or are we just laggards who just wait for the inevitable to be forced upon us ? Unfortunately not a lot of people in the business world today talk about the concepts which make today’s software fresh and exciting. There is no UX research in business software today. There is no design which supports functionality in business software today. And worse of all, we still believe that it’s still ok to be stuck behind a static monitor, with a keyboard and a mouse. The single most important factor in breaking the norm and moving forward is us. Humans are the weak link in the chain in the modern organization’s workflow. We still believe that software developers need a keyboard because they need to type a lot. And we believe that designers need a mouse to create “pixel-perfect” designs. They don’t. Quite the opposite. We should be asking ourselves: How can we transform software production today so that it doesn’t involve huge amounts of typing ? How can we change the workflow of designers so that a mouse is rendered obsolete. We must start producing new cars today. Sport cars, trucks and busses. We got engines, we got tires and most important, we got roads. 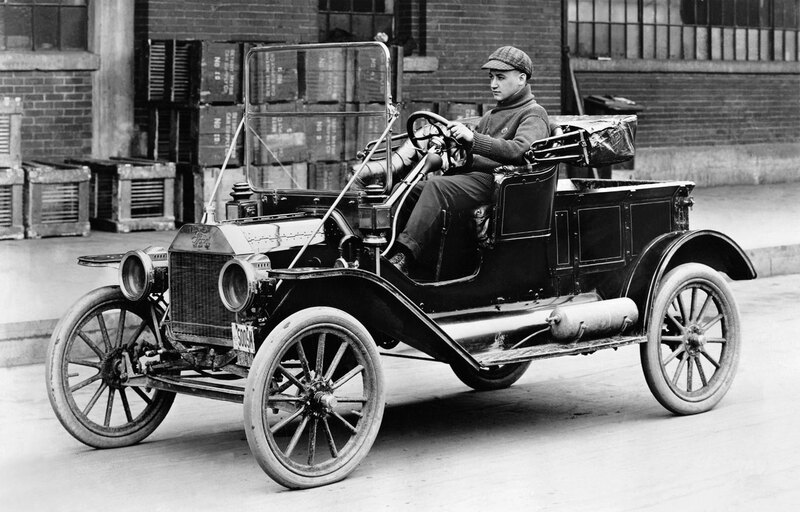 The more we continue to use Model T’s in our organizations, the less competitive we are. And there is really no point, in waiting for retail computing to force the evolution upon us.